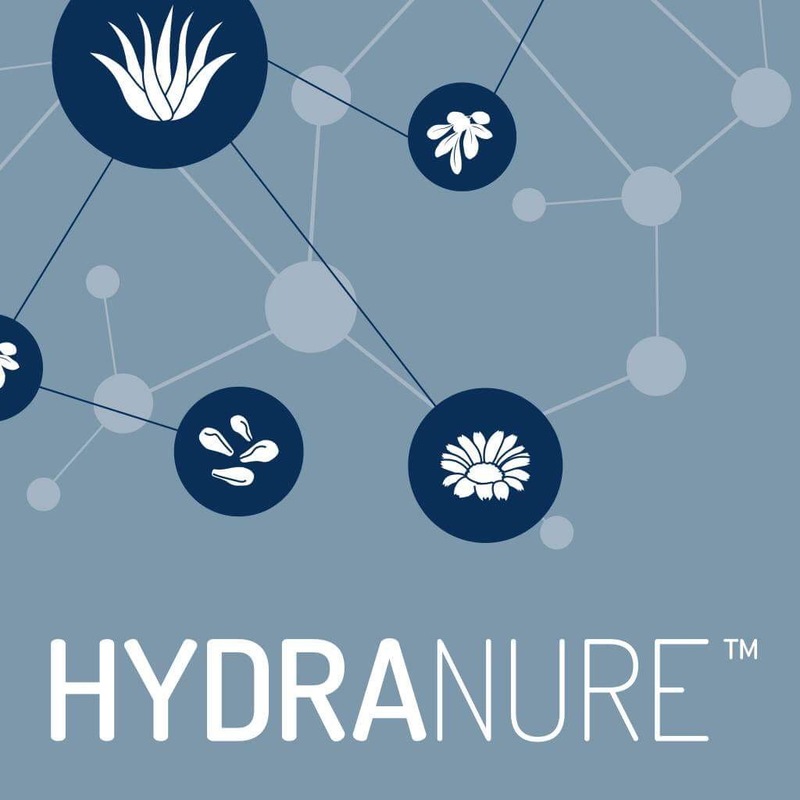 Hydranure was created from our experience as parents of 2 boys who suffered from infant eczema. Nothing is worse than watching your child suffer from the pain and discomfort of red, inflamed, itching skin. One of our boys would scratch so much in his sleep that his skin would bleed. We were desperate to help him. We tried everything that the doctor ordered but were frustrated that the solutions available either harmed the skin (steroids) or seemed to coat the skin in a thick paste that made the skin overheat and transferred onto clothes, bedding, you name it. Thanks to Paul’s job in the airline industry we were able to take our search worldwide and eventually through much trial and error found a cream in the USA that helped alleviate our boys’ eczema. We distributed the cream in the UK for a number of years but, when the option came up to produce it ourselves we were not comfortable with the some of the ingredients used. Even though our children no longer suffered from eczema we felt that there should be a better option available that would be effective with ingredients we and other parents wouldn’t hesitate to use on an infant’s delicate skin. So our journey to create a better solution began with a clear set of requirements. We wanted a cream that would work quickly and effectively, use natural, organic ingredients and be easy to apply with no greasy residues. We formed a partnership with skin care & botanicals expert in Aberdeen called Bill. 10 years and many formulations later we were finally satisfied with the result – Hydranure. A natural, organic treatment for dry skin formulated in a light non-oily cream. There’s love in every drop! Read more about our blend of 5 natural ingredients. We have been absolutely delighted to hear from friends and customers alike who have used Hydranure and experienced the benefits. The results have been incredible and there’s nothing more rewarding than hearing from someone who has used our cream. Read our Bizziebaby testers reviews below. My initial impression of this product was good. The packaging was great with simple and easy instructions to follow. The product is very easy to use. I found the cream absorbed really well and made my skin feel good. My skin is very dry due to line of work I do but this cream really did seem to help. This cream worked really well. My skin felt loads better after using it. It did not cause any irritation too which I have found some other creams do. My wife tried this cream on her hands and they were quite dry and she liked it too. I did use this 2 times a day, morning and evening after a shower. I have tried quite a few creams for my dry skin but this one is by far the best one yet. The quality is excellent. It offers great value for money. I would definitely purchase this again. I have already been recommending this cream to firends. I really liked this cream. It worked for both me and my wife. I am very happy with it. Nick packaging looked good quality and good dispenser. Instructions easy to follow. Very easy to use as great dispenser so enabled you to get the quantity of cream you needed each time. Yes very good would absorb quickly into skin. I used this for my Eczema. This did help ease my Eczema was very good. After using this cream certainly felt my skin was softer. My wife also used this for dry skin patch on her leg and cleared it up in no time. I just used thsi once a day which was first thing in the morning. Sometimes i would top up at night. I liked the fact that it is a very smoothing cream. I do think as a non-medical cream as i have very bad Eczema this is value for money. Yes i would purchase again and i would also recommend. I would hae give it 5/5 but i think the capacity is a bit low would like to see available in a larger container. Overall worked well and helped ease my symptoms. Excited to use it, desperate to find a moisturizer that works. Great packaging, pump easy to use. Instructions easy to follow. The cream was soft, smooth and easy to apply to skin. The cream quickly absorbed, meaning the skin wasn’t shiny for long. Skin conditions used for Dry skin, Red Eczema. I wish i took before and after photos, Lucy’s skin on elbow and cheeks were so red and inflamed and after 24 hours of using the cream it reduced dramatically and now is not even there. When i used some on my face it gave instant relief. All of the family have used this cream and it is great. You are advised to use 3-3 times daily and i did keep to this at the start then reduced it when the condition cleared. I love how the pump doesn’t get clogged with cream like alternative moisturizer products. I loved how it did what it said on the box. A lot of thought has gone into this product and its shows the packaging is fabulous and the product works a treat. Brilliant value for money i will be buying again. I would highly recommend to anyone with dry skin. A moisturizer that works is worth it had all sorts prescribed and nothing worked. My daughters cheeks were so red people were always commenting on them. Not any more they are fine now. Looked stylish, liked the colours used and would catch my eye in a store. Always like pump action tops as find it so much easier to disperse the correct amount of cream required when needed. Instructions very good and easy to follow. I tried this in my daughter who is has very sensitive skin and this did not cause any reaction and helped with her Eczema which I was so pleased with. This absorbed into the skin quickly, had a nice aroma and certainly helped Kimberley. We have been using this every day and her skin is improving all the time. I have terrible dry hands and they crack a lot and cause me pain, but this did work well and now they are a lot better. Gradually my hands are starting to look normal again thanks to this cream. I liked the ease of use and how well it worked on me and my daughter. I would say this is very good value for money, as other similar products on the market as so expensive. I will be purchasing more and have already recommended it to friends and family. This cream is soft, gentle and really is worth a try as helped me and my daughter and that is a thumbs up in my book. Liked the style and the look of the product. Looked well-presented and good quality. Instructions clear and precise. Very easy to use. Liked the pump action top as you get just the right amount. Easy to apply and also absorbed into the skin well. We all used this and yes helped with all our skin conditions. My youngest has Eczema, my eldest has dry skin, I have dry skin patches and my husband has severe Eczema. This was gentle on my baby's skin and did calm the condition down and stop the consistent itching. My eldest found it did help improve his skin condition, certainly helped my dry patches and they look a lot calmer now and skin smoother. My husband is very allergic to so many creams but this did help a bit. His hands, head, back and legs look calmer. Obviously as his condition is severe would not clear his Eczema, but certainly is a cream we use weekly now to help ease his condition instead of all the prescribed creams. I just liked how gentle the cream was on all of us, easily absorbed and worked. I will be purchasing more as ideal for all of us and anything that helps my husband is just great news. I have already recommended as Eczema in the family both sides. Compared to other creams we have tried and they have not worked this is excellent value for money. This is a very good cream to use, can help ease a wide variety of skin problems and gentle on skin too. Initial impressions wer that the product container looked professional and trustworthy. I wouldn’t use a poorly packaged skin care product on myself or my children so this installed confidence immediately. As mentioned above it’s professional and purveys a level of trustworthiness. No issues with packaging quality. Instructions very easy to read and exremely straight forward. The cream was very easy to use. helped by the pump on top. This makes it easy to get the cream out and in turn apply. It’s absorbed well and didn’t leave sticky or oily marks. I ended up using this on myself, my sons and my daughter’s skin and it worked great for us all. It helped with my dermatitis, my daughter’s dry skin and my son’s eczema. As outlined my children suffer from Dry patches and Eczema. I suffer from bad dermatits. This cream has helped all of us. Overall I would say the biggest improvement was on my daughter’s dry skin. I liked the premium feel of the product, the very soft aroma and the fact it doesn’t leave oily or sticky marks on application. Cann’t fault the quality at all. Without a doubt great value as it helped three separate conditions. I would happily pay full price for this product and will be purchasing more. I will be recommending this product to my friends for sure. I can’t reate the product highly enough, was a throughly enjoyable test product because it gave such brilliant results. Overall i’ve really enjoyed testing the Dry Skin Cream. It’s professional looking well throught out packaging gives us confidence before use. When using the sot, natural smell, non-oily finish and ease of use with the pump is pleasant and the results speak for themeselves. My children have been sensitive to other products in the past but not with this, they’ve suffered no irritation at all.